Imagine how it would feel to live with your family in a refugee camp or war-zone, with few rights and little hope for your future. Now imagine what it would be like to be taken from that place and moved, in a matter of days, to somewhere safe – but different to anywhere you’ve ever lived before. That’s what happens to refugees who have been given the chance of a new life through the Gateway Resettlement Programme in Greater Manchester. 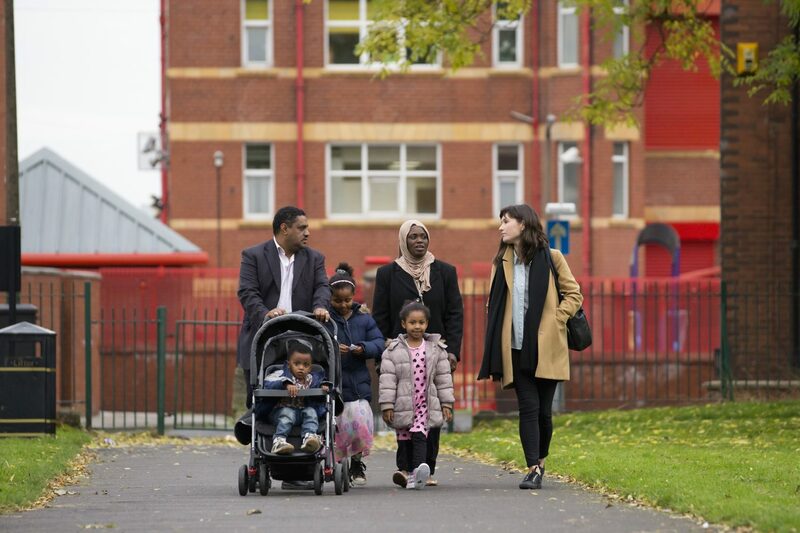 Refugee Action works closely with refugees who are resettled in Greater Manchester via the United Kingdom’s commitment to the United Nations refugee programme, to make sure they are welcomed and can rebuild their lives in their new communities. Refugees face many challenges when they first arrive from finding their way around a new town, to using household appliances, to how to buy food or even just getting used to the cold British weather. Once they’ve settled in there are new challenges facing refugees, things like learning English, settling their children into school and looking for work or volunteering opportunities. Our Gateway team and volunteers are there to support these refugees as they begin this journey towards building a new life. Refugee Action has a long history of supporting resettled refugees to begin their new lives in the UK. We have 35 years of experience in helping refugees successfully resettle and participate in their communities in the UK. Who is the service supporting? Refugees from the United Nations High Commissioner for Refugees (UNHCR) refugee programme who the UK Government has accepted and have been resettled to the Greater Manchester area. To find out how you can help resettled refugees, please read How You Can Help Refugees.